- Patient can sit upto long working hours. - Prevent mutation & curvature nutrition of coccyx. - Tapered design to keep spine straight. 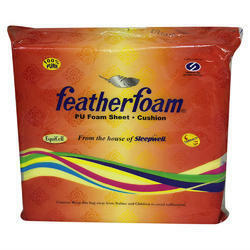 If your tailbone hurts while sitting/ prolonged sitting, we have a precise product for your need. The scientifically designed U shape helps to reduce the pressure on your tailbone by providing required height to support your tailbone from touching the surface. Ergonomically designed to be used on any furniture. We are leading supplier of Coccyx seat Cushions. Bones that support and bears all physical stress and strain going weaker with age and diseases requires coccyx seat cushions. To meet the various requirements of the customers, we are involved in offering a wide assortment of Foam Filled Car Seat Cushion. Designed to help relieve pressure on the back. Due to its shape, the seat wedge pushes the pelvis forward, which helps bring your back to an upright posture. Ideal for everybody working for long periods of time in a sitting position, especially computer users. - Use: massey fegusion, Ford, Swaraj, Sonallika, mahindra Etc. 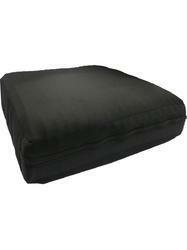 - Provide comfort in long sitting position in office during hours. - Provide normal curvature to back & prevent lot of spinal problems.